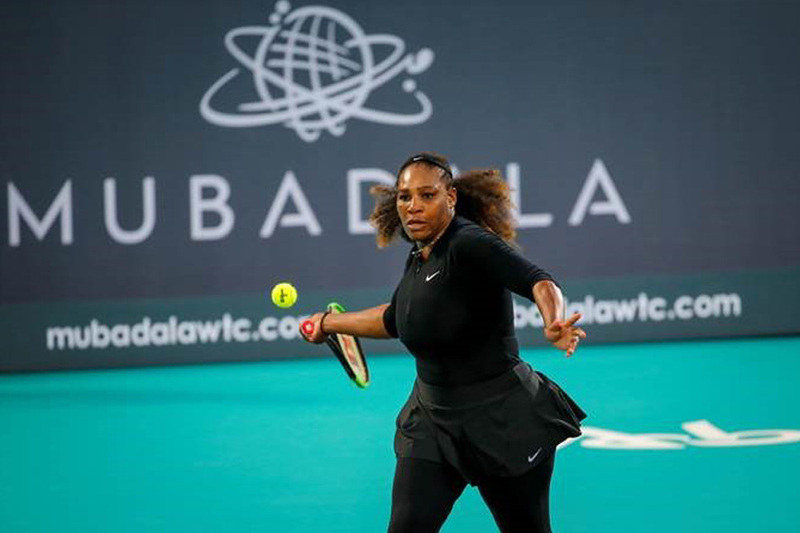 The Mubadala World Tennis Championship will be here soon, and for the 2018 edition, FLASH Entertainment has confirmed 23-time Grand Slam champion and inspirational figure, Serena Williams, will be in attendance. She'll join an already star-studded line-up for this year's MWTC, which will take place from 27th to 29th December, 2018. The tennis superstar will be joining her sister, Venus Williams, in the women’s side of the 11th edition of the Championship – with lucky fans having the chance to see the siblings battle it out in the UAE capital in addition to all the entertainment in store for the family on Day One of the Championship. What’s more, in order to get more young fans to watch the Williams sisters in action, organisers are encouraging families to take advantage of the special offer whereby children can enter for FREE on purchase of an adult ticket on day one of the MWTC. This year’s line-up is shaping up to be the most exciting as it features six top male players as well as the inspirational Williams’ sisters. The men’s side will feature world number one and 14-time Grand Slam Champion Novak Djokovic, world number two and 17-time Grand Slam champion Rafael Nadal, alongside last year’s defending MWTC champion, Kevin Anderson, French Open finalist, Dominic Thiem, Australian Open semi-finalist Hyeon Chung and recent Paris Masters Champion, Karen Khachanov. Tickets to the hugely popular event are priced from AED 100 and can be purchased from www.ticketmaster.ae or by calling 800 86 823 from within the UAE or +971 4 366 2289 from outside the country and all Virgin Megastores. Fans looking to attend all three days of the Championship can avail of a special 20% discount on ticket prices while families can take advantage of the special offer whereby children can enter for free on purchase of an adult ticket on day one of the Championship. The Mubadala World Tennis Championship was launched in 2008 by FLASH Entertainment, the region’s leading events consultancy, in partnership with IMG. Now celebrating its eleventh edition, the 2018 Mubadala World Tennis Championship will take place 27 to 29 December 2018 at the International Tennis Centre at Zayed Sports City.